Most homeowners take it upon themselves to decorate their homes in a style that fits their own personality and tastes. With that said, we often get questions about different interior design styles. Some people are simply curious as to which styles go with which styles of homes. 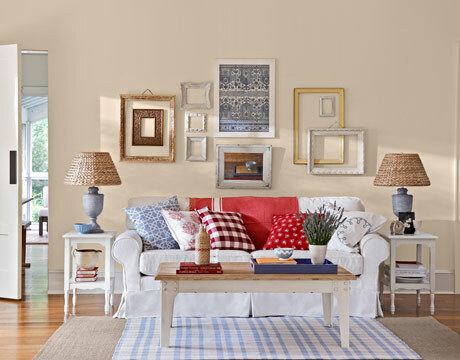 Rooms decorated in the American Country style go for a comfortable, “crafty” feel. American-themed decorations and traditional materials are common, as are antique-yet-functional decorative elements such as pottery, carved wood, hand-formed metal, and baskets. 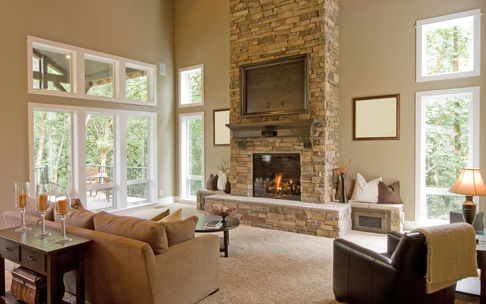 Wood floors and stone or brick fireplaces are also frequent features in American Country Style homes. Art Deco homes are noted for their large geometric decorative elements, urban design, and clean lines. Interior architectural elements include smooth walls with rounded corners, parquet wood floors, glass block windows, and porthole windows. The furniture is modern and minimal. Materials like veneer, stainless steel, and chrome are common. 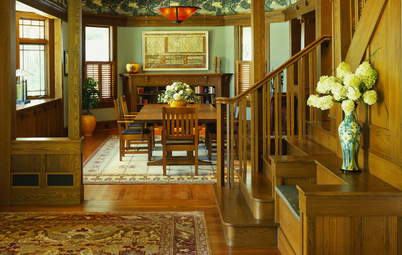 The Arts and Crafts style was a late nineteenth century response to the industrial era. It emphasized handcrafted work and artistic materials to contrast with mass-produced, factory-made home wares. Artists created artistic yet functionally item from textiles, ceramics, furniture, and metal. 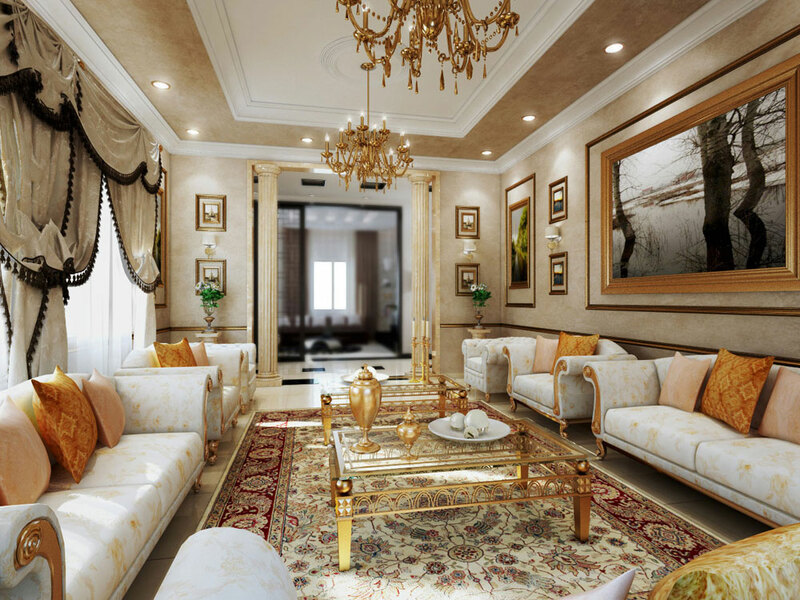 As the name implies, Asian-inspired home interiors use elements of traditional Asian cultures: Japanese, Chinese, Korean, Malaysian, Indonesian, Thai, etc. The more philosophical styles emphasize minimalism eliminating clutter and ornaments to create a space that promotes peace and harmony. That said, some Asian-inspired interiors can also have a flair for the historical and dramatic. 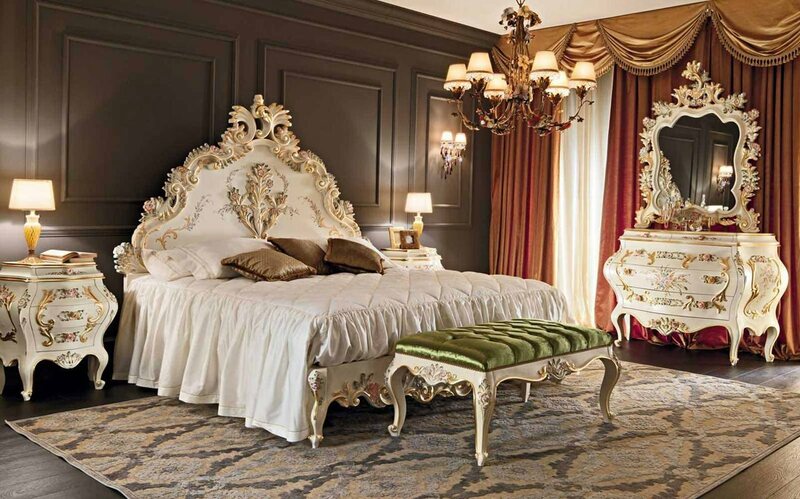 Since the 17th century, “Baroque” has been synonymous with fancy, over-the-top ornamental home décor. Think old Eurpopean royalty, like the court of Louis the XIV at Versailles. But even those who are not descended from kings or queen often enjoy the complex patterns, rich patterns, gold accents, and decorative mirrors common to the era. Many Trump-brand properties lean towards Baroque. 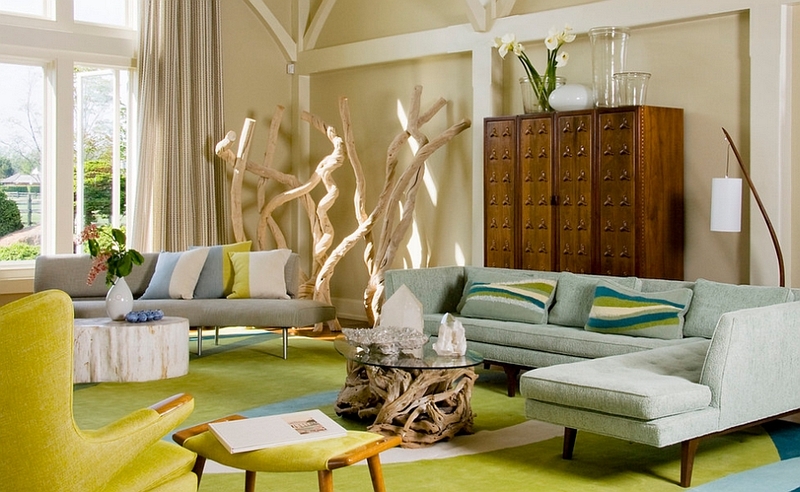 Coastal design is are inspired by the beach, naturally. 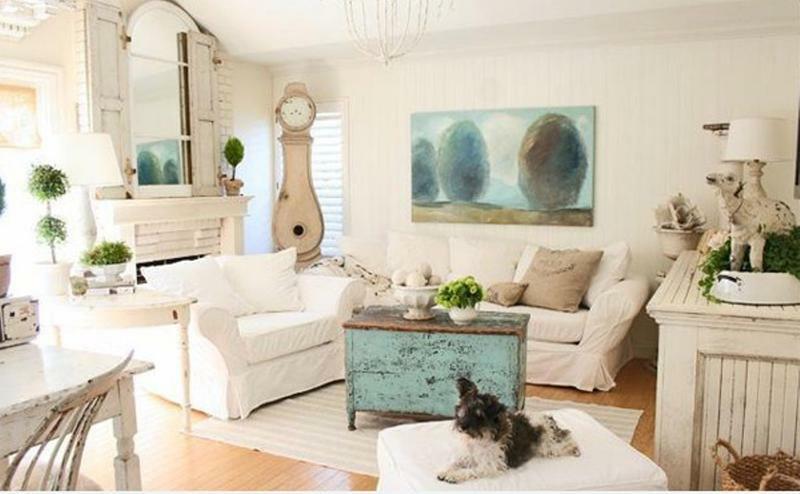 They tend towards lighter colors (white walls, pastel accents) as well as blues and sand color. Décor uses natural wood, with bead board and clapboard common. Much of the design tries to bring in natural light and, if possible, ocean breezes. Home decorators and interior designers need a catch-all category, and “Eclectic” is it. 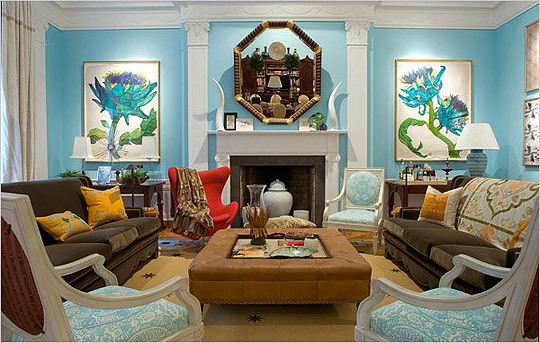 Rather than designating a single style, the term “eclectic” is used for styles that are a bit outside or traditional styles, often brining their own unique aesthetic to bear on the interior. That said, eclectic designs are sometimes the most thoughtful and artistic. French Provincial style is influenced by the homes in Southern France, which traditionally have a mix of rustic elements and elegant detail. 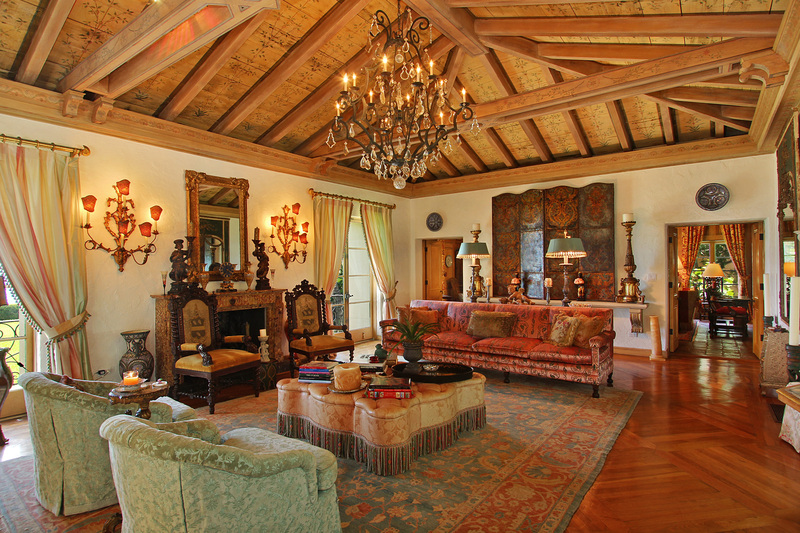 Floors are typically dark wood, stone, or tile; walls are a textured plaster; and exposed wooden ceiling and wall beams are common. In contrast to the rustic elements, furnishings tend to be more refined: upholstered seating, carved-wood, and large gilded or carved wood-framed mirrors. Mediterranean style homes are typically feature open spaces and outdoor patios, much like the homes in Greece, Spain, and Italy. Walls are typically made of stucco or plaster, floors are marble or tile, and wall beams are left exposed. Golden yellows, olive greens, rich reds, and cobalt blues are colors commonly used and can been seen on walls, tapestries, mosaic inlays, pottery, and art. Mid-century Modernist style interiors focus on clean lines and minimal decoration. 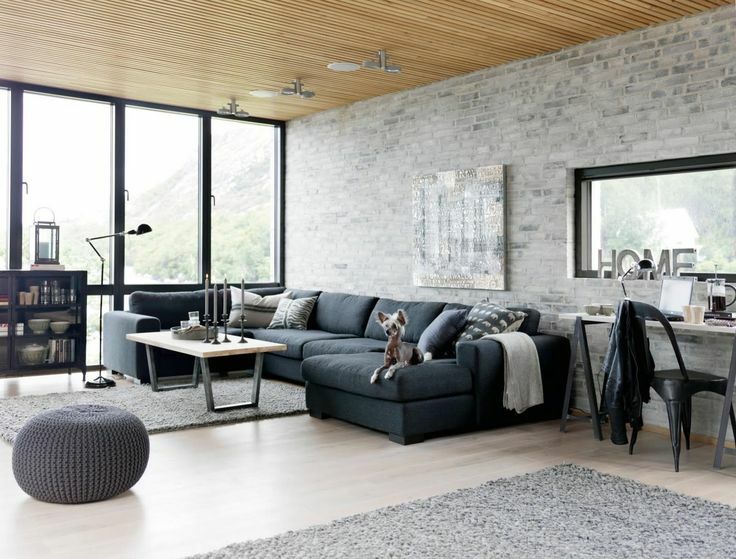 Most have open floor plans, with large floor-to-ceiling windows that call attention to the natural environment. 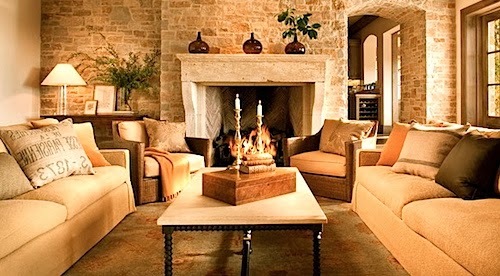 Natural elements are also brought into the home with stone wall details and natural wood beams. Furniture is generally leather or wood, with stainless steel and granite for kitchens and bathrooms. Morocco was a trade center for centuries, and you can still see the influences of Arab, Spanish, and French cultures in this design style. It is colorful, casual, and welcoming. Walls are generally heavily textured and painted rich colors. Textiles and tiles are common decorative elements and have bold geographic patters like stars or chevrons. Persian rugs are also common. Furniture is generally made with wood and overstuffed cushions, and additional seating can be accommodated through the use of floor pillows. Modern architects influenced much of the Northwest's home design, capitalizing on the area’s natural beauty. Wood and stone are used for many elements, and lighting is super important, with many features that let line in and magnify its effects. Tribal art and Japanese designs are also fairly common. Shabby Chic combines more casual, romantic furnishings with antiques and elegant adornments. Many times this effect is had by distressing or “aging” older furniture pieces. White and neutral colors are common. Though functional items are used for decoration, this style goes for a less cluttered look than, say, American Country or Moroccan. 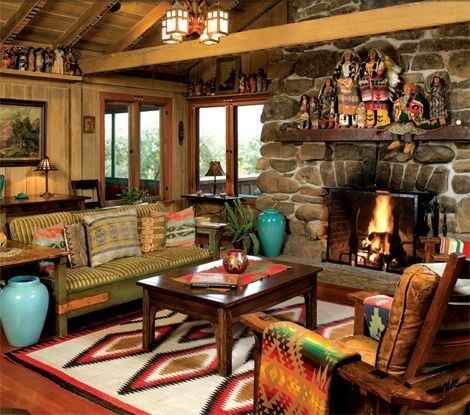 Southwestern-styled interiors are known for their desert-inspired designs, as well as influence from Native American tribes from that area. Tile or hardwood floors are usually left bare or covered with wool throw rugs. Traditional Mexican or Southwest Native American art are common, as is distressed wrought iron. Traditional style refers to elements popularized in the 18th and 19th centuries. Much attention is paid to the “silhouettes” or design lines of the room. Furniture includes things like wing-backed chairs, claw footed tables, and curved furniture pieces. 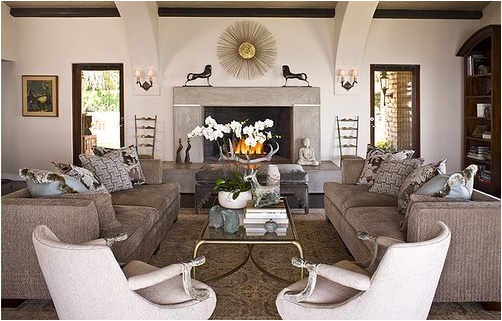 Fabrics in a traditional room are generally neither too shiny, nor too textured, with solid, muted patterns. 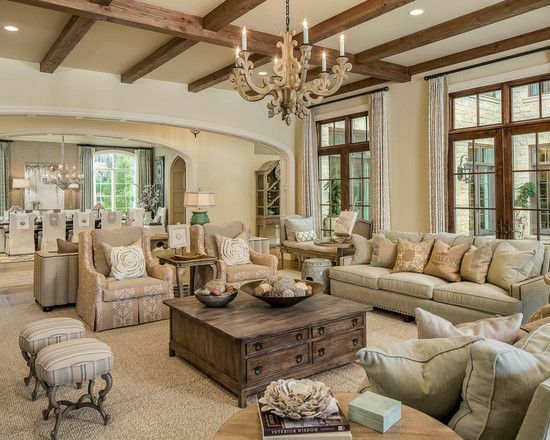 Transitional style is a merging of traditional and contemporary furniture, finishes, materials, and fabrics. 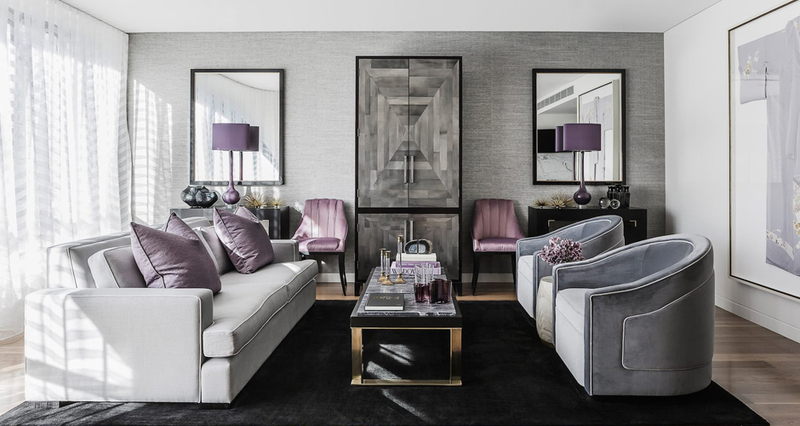 For example, dark colors might be used to add depth to more neutral colors like taupe, tan, and vanilla; furniture aims to be simple yet sophisticated; fabrics may be textured or contain graphic patterns, but against sleek wood frames. The history of Victorian design is firmly rooted in nineteenth century England, when Queen Victoria reigned over a global trading powerhouse. It was an era of ornate decoration where order was brought to variety and chaos. Victorian interiors often are often filled with objects that reflect the owner's interest, such as antique vases, antiques, vintage books, etc. Carved wood chairs and furnishings are typical.